CHULA VISTA –Dribbling, sprinting, ball contact and having fun are considered to be essential skills to play soccer. 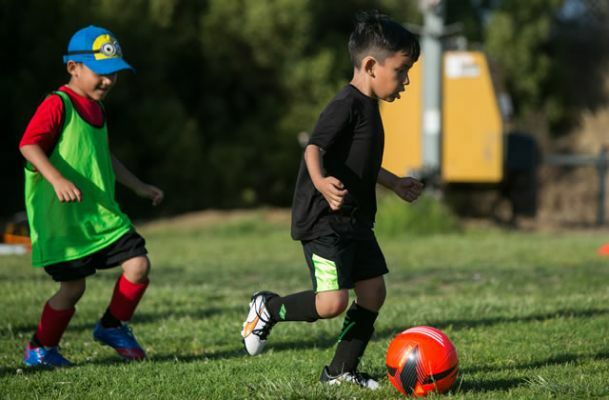 Club Tijuana Xoloitzcuintles de Caliente is bringing that to its communities in the region through its Xolos Academy FC. The Club Tijuana youth soccer school carries the Mini Xolos category. The Mini Xolos category is designed for the youngest athlete. It is a resource that parents can use to have their children start a path to a talented career on and off the field, whether it be through soccer or anything else in life. Xolos Academy FC Administrative Director Ramon Vazquez, who has been part of the organization since 2012, talks to us about what the Mini Xolos teams are all about and why parents should enroll their young athletes in this project. Q: What is the Xolos Academy FC’s purpose and structure? Q: Why have a Mini Xolos category? Q: What is Mini Xolos? Q: What is different about this youth academy compared to others in the area? Q: Who are the coaches in charge of this category and why are they part of this category? Q: What league, tournaments and competitions do Mini Xolos teams compete in? Q: When does the competition calendar begin? Q: What else would you like people to know about Mini Xolos?